Nature is out there trying its best to show the power of erosion by pounding shorelines with water for years and years to slowly eat away at cliffs in the eternal battle betwixt water and land. And then here comes you with your big bad machine harnessing the power of pressurized aquatic fury for your own designs. Does that make you like unto a god? Perhaps it does. Perhaps. It Does. HEY! THIS BOX IS ORANGE FOR A REASON! IT'S IMPORTANT YOU READ THIS FIRST! This thing requires fuel, so it can't be returned to Woot. Once you buy one, it's yours. Warranty claims can still go through the manufacturer, of course. THANK YOU FOR READING ORANGE BOX CONCLUDES NOW. 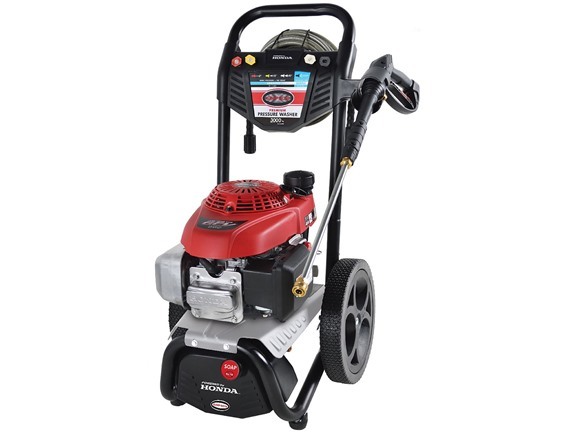 The SIMPSON Megashot 3000 PSI 2.4 GPM Gas Pressure Washer Powered by Honda delivers a powerful, compact unit designed with portability in mind. 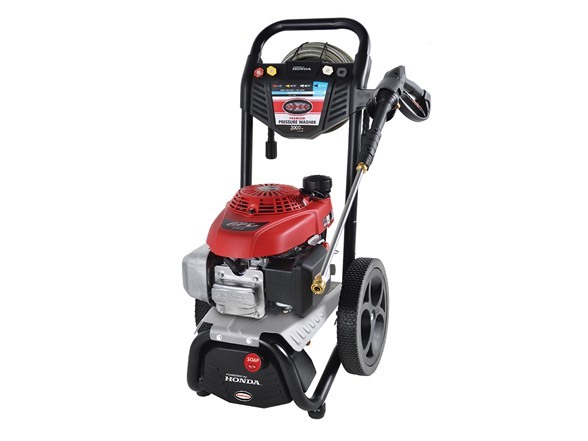 Perfect for the “Do-it-Yourselfer” looking for maximum performance at an affordable price. 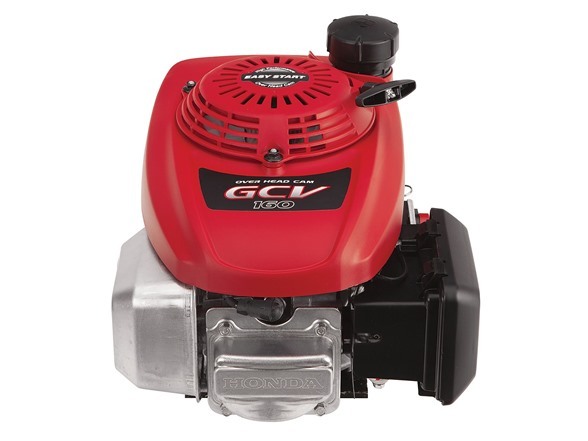 The overhead valve engine starts easily and is equipped with low oil shutdown for protection. The OEM Technologies ™ axial cam pump allows for optimal efficiency. The ergonomic spray gun with safety lock-out provides multiple levels of comfort. Other accessories include a quick connect spray wand with four stainless steel quick connect nozzles; 0°, 15°, 40° and soap applicator nozzles allow you to select the spray pattern best suited for the job.